Lemon juice, butter, and spices add flavor and juiciness to these veal patties. They're delicious served in buns with your favorite burger fixings or along with potatoes or noodles. Combine ground veal, butter, lemon juice, salt, nutmeg, and pepper; shape into 6 veal patties. 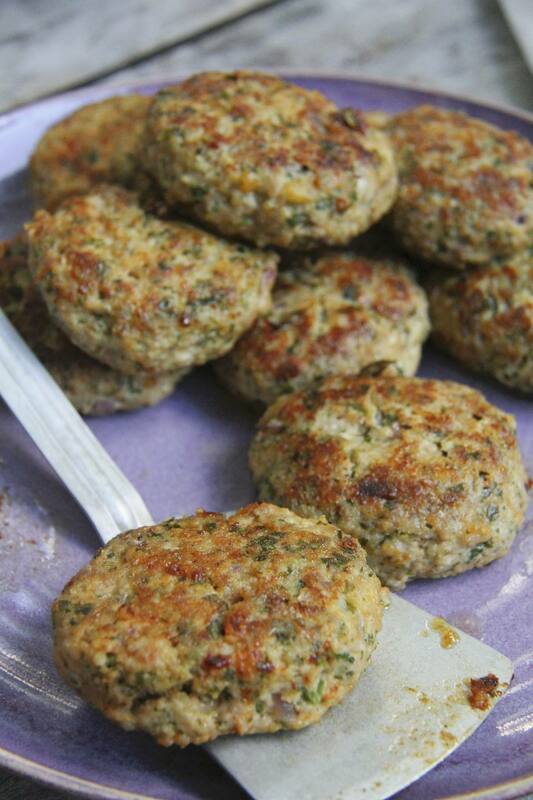 Dip patties into egg and water mixture then into breadcrumbs. Heat oil in a heavy skillet. Brown coated veal patties on both sides in hot oil; reduce heat and cook for 15 minutes, or until veal patties are done. Serve "as is" with potatoes or other side dishes, or as a burger in a sandwich. These Salmon Patties Couldn't Be Easier!